The RTR-500MBS-A Mobile Base Station collects recorded data from up to 20 RTR-500 Series Remote Units via wireless communication and sends data to the specified E-mail address or FTP server over mobile networks. 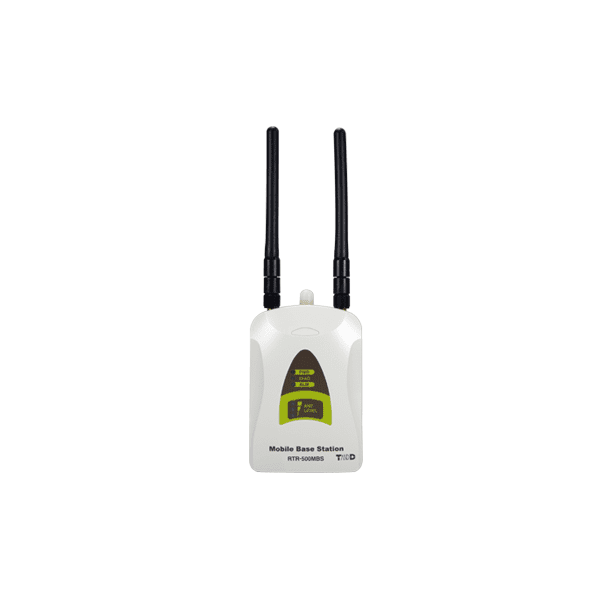 It can be used anywhere that is within the coverage of a mobile network; expanding coverage for data collection and monitoring, such as to areas where LAN connection is difficult, and to environments where network or PCs are not available, as well as vehicles in transit. *The RTR-500MBS-A replaces the RTR-500GSM model. With the warning monitoring function, the RTR-500MBS-A Base Unit monitors Remote Units for user-set alarm warnings, and sends warning report mails via e-mail or SMS, enabling users to always stay in the know about changes in measurement readings. The RTR-500MBS-A is compatible with the T&D Webstorage Service. Remote monitoring of location with GPS is also included. To use an RTR-500MBS-A, a SIM card from a carrier or mobile network service must be purchased.